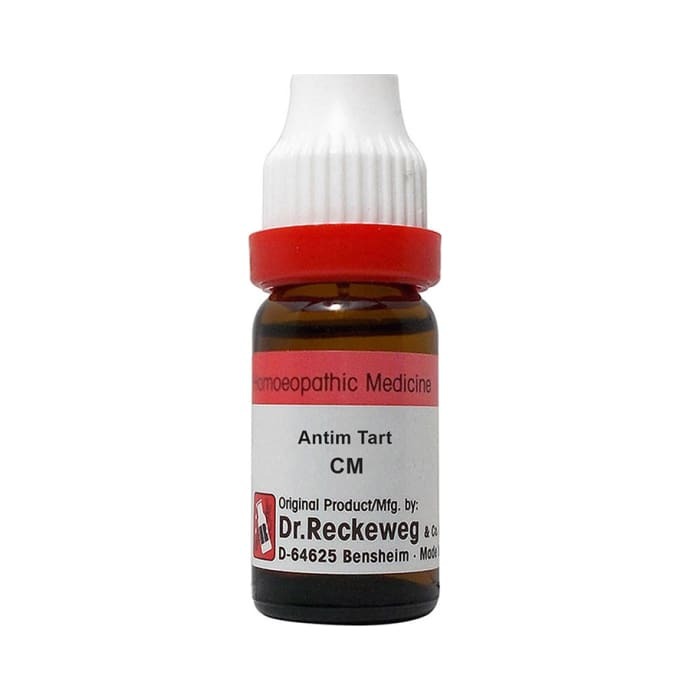 Dr. Reckeweg Antim Tart Dilution is a useful homoeopathic remedy for the treatment of weakness and exhaustion. It helps in maintaining a healthy respiratory system. It is effective for patients affected with feeble coughs and congestion in the chest, especially beneficial for infants and older patients. Being a homoeopathic product, it is safe to use and has no side effects. Take 3-5 drops of dilution in half cup of water 2-3 times a day or as directed by the physician. 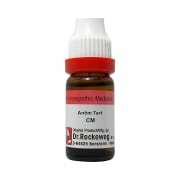 A licensed pharmacy from your nearest location will deliver Dr. Reckeweg Antim Tart Dilution CM CH. Once the pharmacy accepts your order, the details of the pharmacy will be shared with you. Acceptance of your order is based on the validity of your prescription and the availability of this medicine.